My closest friends, family, and work colleague already know about this. 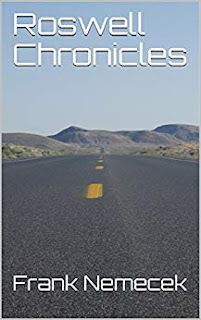 However, I figure it's time for the entire world to know: I have written a science-fiction novel entitled The Roswell Chronicles and it has been published in both Kindle and paperback formats. The Roswell Chronicles series tells the story of Samantha Haut and her cousins as they find themselves caught between a group of greedy Wall Street bankers and some pissed off aliens from outer space. Ever since the Roswell crash in 1947, the Haut family has secretly held onto a series of journals that contain details of advanced alien technology. Whenever the family has needed money, they quietly sold one of the inventions in those pages. This is fine until an investment banking executive learns about these journals, steals them, and begins selling the technology much faster to generate more profits. The problem here is that the Haut family was never supposed to have those journals. They were supposed to be returned to the aliens more than a half-century ago under the terms of the secret Roswell Treaty between the aliens and the United States government. If and when the aliens learn that those journals are still in existence - which becomes much more likely once a whole bunch of their technology hits the market - they will undoubtedly be back. And they won't be happy. The Roswell Chronicles is currently available on Amazon.com in both paperback and Kindle formats. Readers can actually see the first chapter of my novel for FREE on Amazon.com by simply clicking where it says "look inside", which is right above the image of my book. I want to thank everyone in advance for taking a look at my science-fiction novel The Roswell Chronicles, which is available here. The first few reviews of my book have been glowing. I'm actually a little surprised by all of the unsolicited 5-star reviews that readers have given it so far. I may be a little biased - or maybe even more than a little - but I believe that The Roswell Chronicles would make for an excellent Christmas gift for anyone on your list who loves to read. 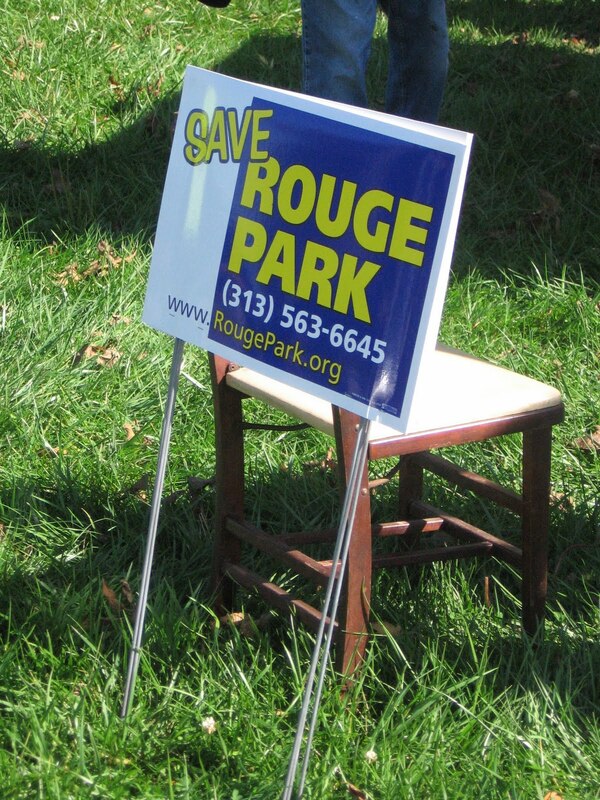 The nonprofit advocacy group Friends of Rouge Park will hold their next general meeting on Tuesday, November 20. This gathering will happen from 6 - 7 p.m. in the Westside Christian Academy (9540 Bramell St.). Items on the agenda for this meeting include updates on upcoming plans and goals for 2019 as well as an update on the Sorensen signage project. There will also be elections for the board of this organization. Everyone who is interested in the future of the largest park in Detroit is welcome to attend this meeting. Those of us who live in Michigan know how spectacular the leaves around these parts get every autumn. Now, however, it looks like the rest of the country has discovered this portion of what makes Michigan magical. For the third year in a row, Michigan has been named the best place in the United States to see fall foliage in Nikon's fall foliage competition. While the Great Lakes State came in first place again, New York came in second place while Colorado placed third. There were also some impressive entries from California, New Hampshire, Tennessee, and Utah in this contest. “Now in its fourth year, this campaign continues to provide a platform for people to show their state pride through photography that displays the natural beauty of our country, while also highlighting the uniqueness of autumn in each individual state,” explained Lisa Baxt, Associate General Manager of Communications, Nikon Inc. in a prepared statement. 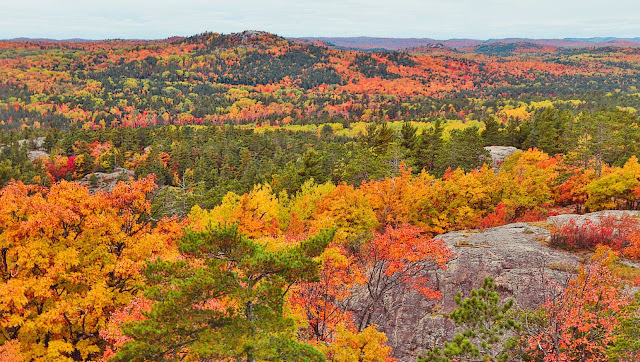 I could fill this blog with words about how spectacular the fall colors are in Michigan. However, I think it's best to let the pictures speak for themselves. 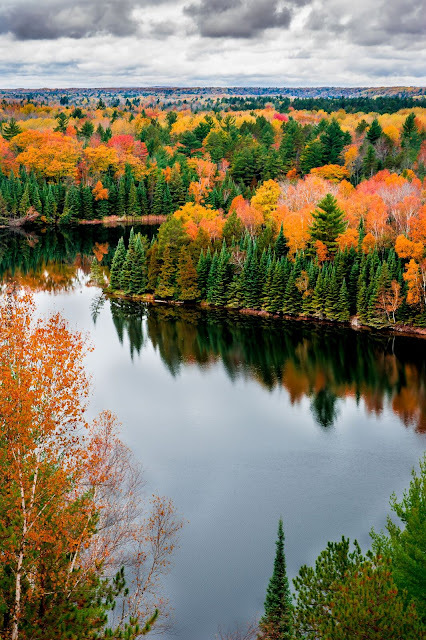 They, after all, are why Michigan has been named the best place for fall foliage three years in a row. I love this photo by Thomas Bos. 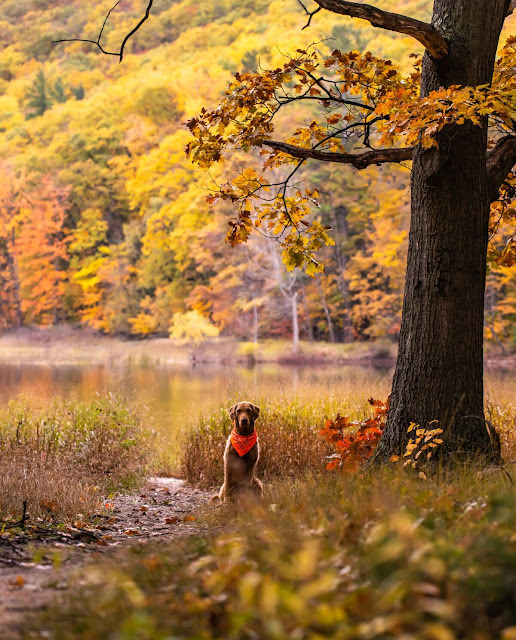 It perfectly captures the beautiful colors that are found across Michigan every season. Adding a dog into the photo really gives a sense of scale to this scene. This photo of a Michigan road in the fall by Shannon Hart is spectacular. In my opinion, there's something about a long stretch of empty road that invites one's imagination to ponder what is just over that hill or around the next bend. I believe this is one of the reasons why we as humans are natural explorers of our environment. 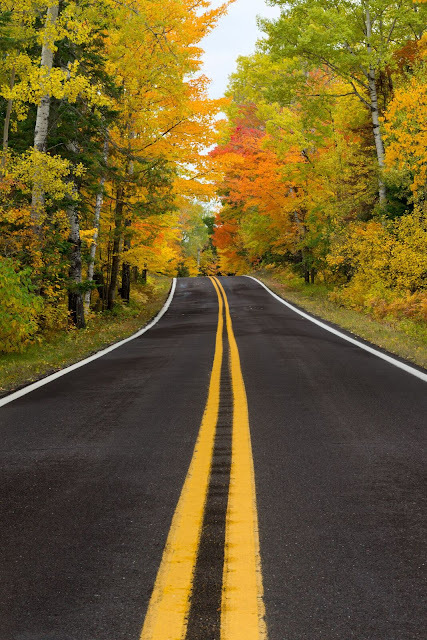 The fact that the road is enveloped by the wonderful colors of fall foliage in Michigan simply takes her photograph to the next level. More than anything, this photo inspires one to take a long road trip through Michigan. I love the fact that Izzy Cagalawan incorporated a gently flowing river in this landscape of fall foliage. I feel that it adds a dimension to this photo that is missing from most other landscape photographs of Michigan. Michigan is, lest one forget, a state that is defined by water in many ways. There are more than 11,000 lakes throughout the state, according to the Michigan Historical Center. In fact, no matter where one is this state, a person is never more than six miles from a body of water and never more than 85 miles from one of the Great Lakes. All of this makes me look forward to 2019 when Michigan will presumably win the Nikon fall foliage competition for the fourth time. One of the first things that I saw this morning, before I even looked outside, was a cheerful message on Facebook from an old friend of mine from high school who happens to run a snowplow business. Even if you're not excited about the first snowfall of the season in Detroit, I hope all of my readers are able to confront the day with the same level of enthusiasm as my friend Wayne has about it. Today is the midterm election; where we will choose a new governor for Michigan, a new Member of Congress to replace the retired John Conyers, as well as a new state representative and state senator. All of this is in addition to deciding who will be our United States Senator and a host of other elected offices at the state and local levels. 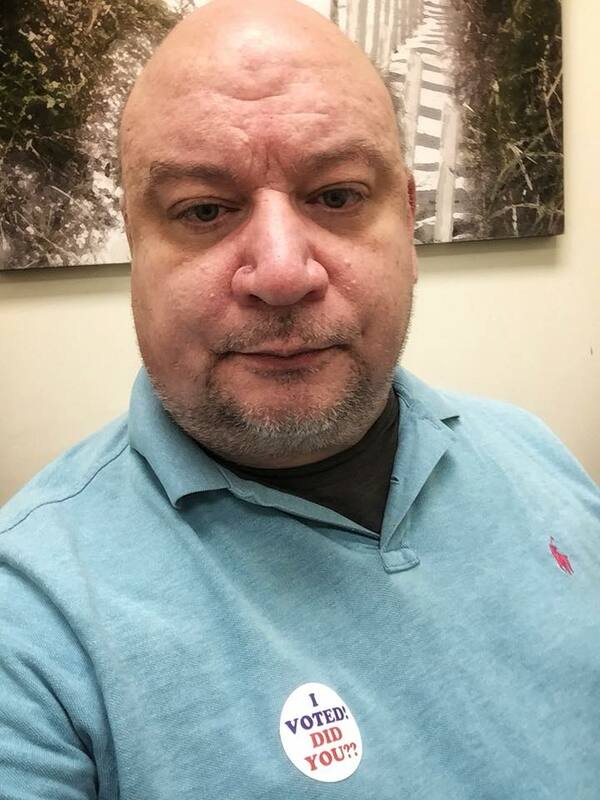 Precinct 337 in Detroit, which is a portion of the Warrendale neighborhood that is south of W. Warren Ave. and closer to the Southfield Freeway, is reporting record voter turnout today. The number of people showing up is eclipsing not only a normal midterm election but is better than normal for when there is a presidential race. The other precincts in Warrendale - as well as the rest of the Detroit area - seem to have rather large voter turnouts. Polls will still be open for another couple of hours. Let's keep it going, Detroit. If you haven't already voted, please get out and do so. This Wednesday, November 7, 10 woman-owned businesses will go head-to-head in a pitch competition. This event will start at 5:30 p.m. at NextEnergy, which is located at 461 Burroughs in the Midtown neighborhood. This is a public event that is presented by Michigan Women Forward with support from the Consumers Energy Foundation. The participating companies are divided into lifestyle and growth companies. The 10 finalists have been narrowed from an initial field of more than 140 applicants. Team Fit from St. Clair. Dearborn Career Academy from Dearborn Heights. Similar competitions are scheduled in Grand Rapids on November 8 as well as in Jackson on November 14. Since 2014, MWF has loaned $2,391,200 to 93 businesses, in addition to 74 pitch competition prizes and investments totaling $468,400. The Consumers Energy Foundation has contributed $200,000 to Michigan Women Forward this year toward its Women's Entrepreneurship Initiative. Anyone who is looking to buy a home in the Warrendale neighborhood - or many of the other outlying neighborhoods in Detroit - can get some great incentives thanks to the Step Forward Program from the Michigan State Housing Authority. For starters, MSHDA is offering $15,000 to eligible homebuyers to cover their downpayment, closing costs, and other prepaid expenses. While $15,000 to put towards the purchase of a new home in Detroit is great in and of itself, MSHDA and their Step Forward Program are offering even more for qualified homebuyers. They are also working with a coalition of more than 45 lenders to offer a 0% interest rate as well as no monthly payments for eligible homebuyers. The Michigan State Housing Authority will even forgive 20% of the home loan per year. 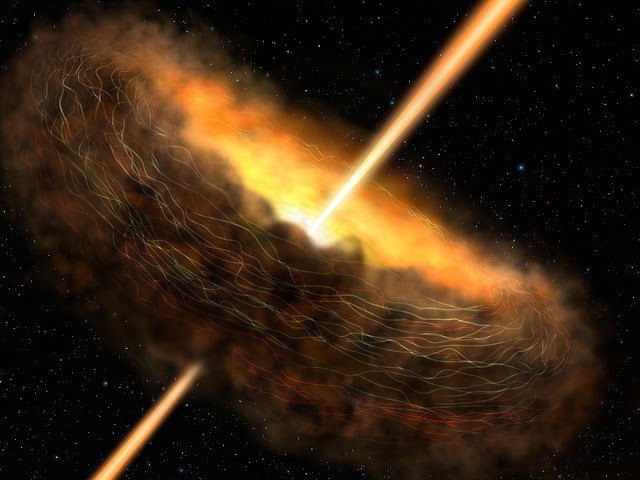 This means that 100% of the loan amount will be forgiven within five years. Eligible homebuyers essentially get a free house in the Warrendale neighborhood or elsewhere in Detroit, with no monthly payments along the way, provided that they live in their home for at least five years. There are, of course, several conditions are requirements for homebuyers to gain access to this program. For starters, there is a maximum income limit that ranges from $85,080 to $99,260 depending upon the size of one's household as well as an asset limit of $10,000 excluding retirement savings. Anyone who makes more than that amount or who has assets worth more than $10,000 is not eligible for this program. The purchase price of the home may not exceed $224,500, which means that any home in the Warrendale neighborhood easily qualifies. Homebuyers will also be required to complete a homebuyer education workshop. 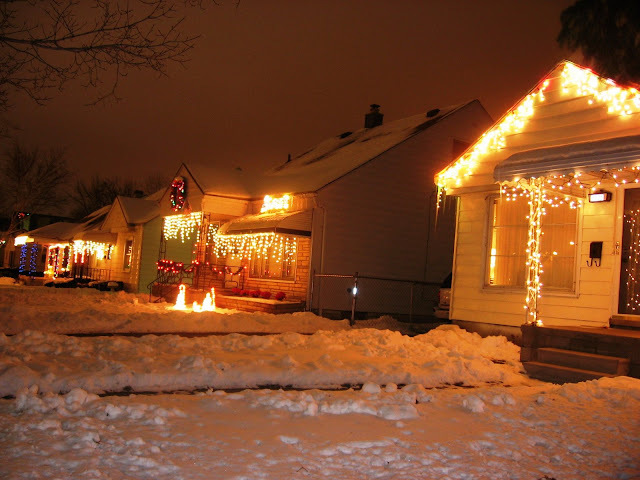 The home that one buys must be in the Warrendale neighborhood or one of the other qualifying neighborhoods in Detroit. (Although, let's face it - buying in Warrendale really is the smartest bet.) The Michigan State Housing Development Authority also requires that homebuyers use an MSDA MI Home Loan for this purchase. Finally, in order to qualify, homebuyers must have a minimum credit score of 640 (or 660, if buying a manufactured home). If anyone is uncertain about their credit score then I recommend checking out Credit Karma or WalletHub. Consumers can use those sites to get their score for free and do so without a credit card. 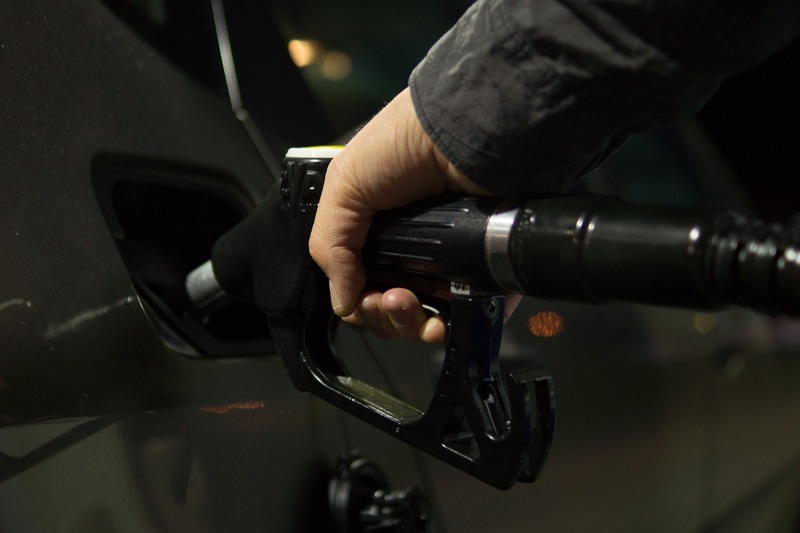 They also offer a variety of tips on how to improve one's credit score. There will be a housing and resource fair this Wednesday, November 7 from 4 - 7 pm at the Northwest Campus of Wayne County Community College (8200 W. Outer Dr.) in Detroit. Additional details can be found on this flyer from the Michigan State House Authority. $15,000 to purchase a home in Detroit, as well as all of the other benefits of the Step Forward Program, are your Tip of the Week for November 5. I feel like bad news, division, and drama have been dominating our news cycles forever. Therefore, I want to share three bits of good news with everyone this morning. Second, speaking of moons, Robert Zubrin, a rocket scientist and president of The Mars Society, has unveiled plans for low-cost colonies on our Moon. His proposal can be found in the summer/fall issue of The New Atlantis. 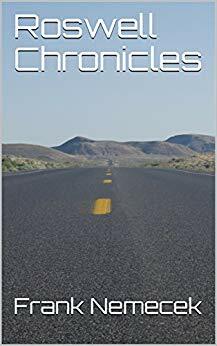 Finally, on the subject of cool sciency stuff, my science-fiction novel The Roswell Chronicles is currently available on Amazon.com in both Kindle and paperback formats. Oh, wait - did I just bury the lede? Yes, I wrote a science-fiction novel and it has been published. 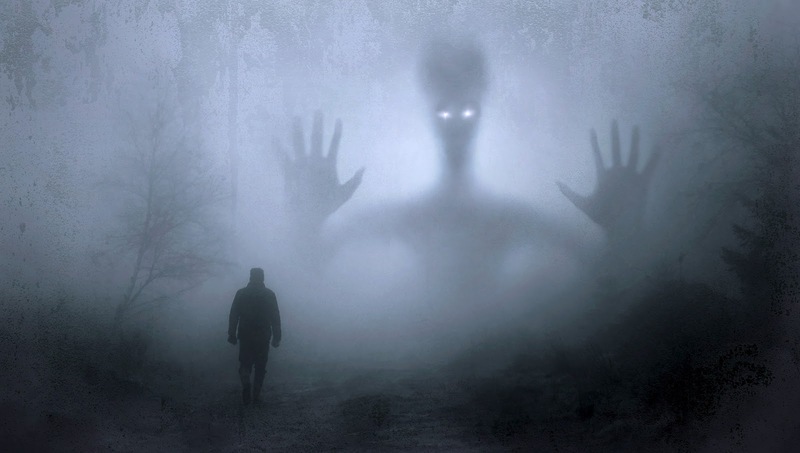 My novel is called The Roswell Chronicles and it's the first book in a planned series that is also entitled The Roswell Chronicles. The Roswell Chronicles is currently available on Amazon.com.